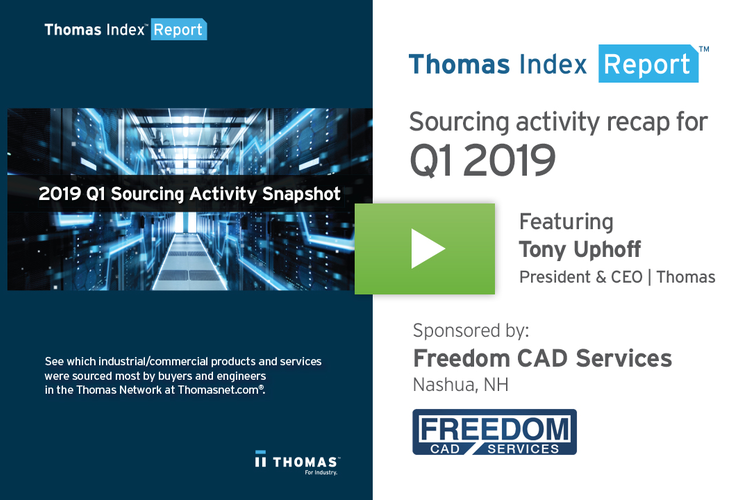 This Thomas Index Report is sponsored by New Process Fibre Company, a leading custom manufacturer of top-quality plastic, fibre, and other non-metallic components. Hello. 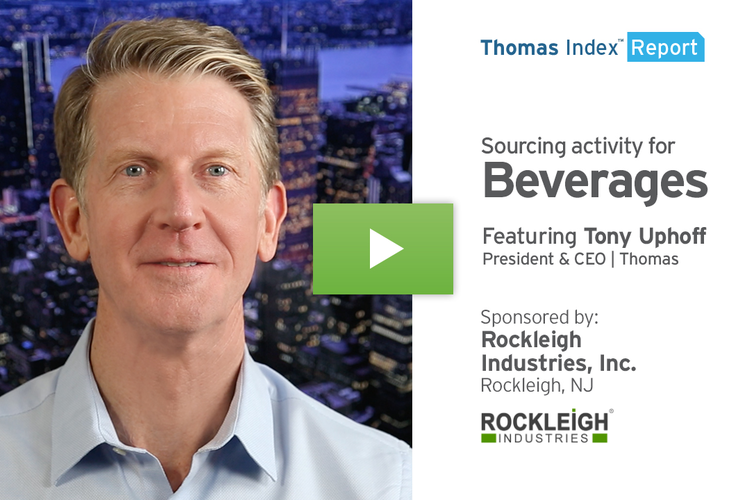 In this week’s Thomas Index Report, we’re going to take a look at sourcing activity for High Density Polyethylene, or HDPE, by users of the Thomasnet.com platform. 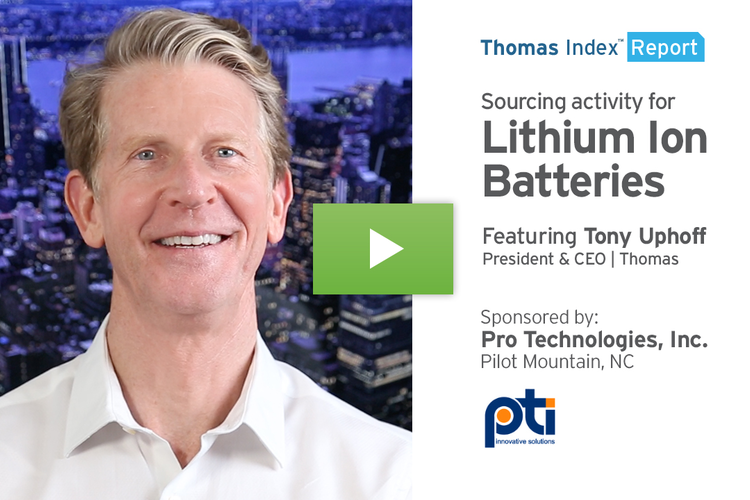 Our data shows that over the past twelve weeks, sourcing activity for this category is up 18% over its historical average. Our firmographic buyer data shows that two of the top industries driving this trend are industrial supplies manufacturing, and plastic products manufacturing. HDPE is a lightweight yet very strong and durable plastic — properties that make it one of the world’s most widely used types of plastic. HDPE can tolerate extreme temperatures and strong chemicals, which makes it the ideal choice for everything from freezer bags, milk containers, and shampoo bottles to fuel tanks, corrosion-resistant pipes, plastic lumber decking, and much more. HDPE is also highly recyclable; in fact, a recent test by ESE World B.V. showed that HDPE can be recycled at least 10 times without significantly diminishing its properties. We recently reported on an upward trend in sourcing for Plastic Recycling Services here in North America, driven largely by China’s recent ban on importing America’s recyclable plastic waste. This ban has caused plastic waste to literally pile up in U.S. landfills, and to help address the growing challenge, government, and industry associations have been urging manufacturers to use more recycled and recyclable materials. 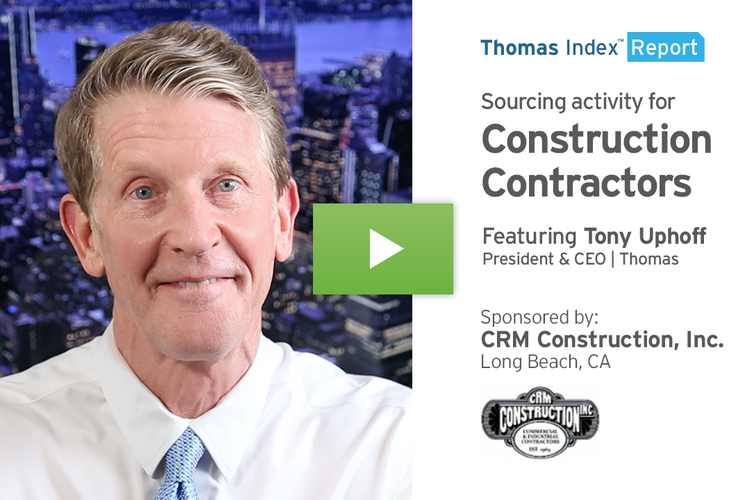 We believe this is a key a factor driving the increased sourcing activity for HDPE. Speaking of recycling, in our recent Thomas Index Report recap of 2018, we predicted a 5-10% percent increase in sourcing activity for Plastic Recycling Services in the near term due to China’s ban. Our data shows that prediction to be looking good, with sourcing up 3% month-over-month, and up 31% week-over-week since that report. In addition to sourcing for High Density Polyethylene, our data also shows that sourcing activity is up 18% or more, week over week, in the related categories of HDPE pipe and HDPE bottles. 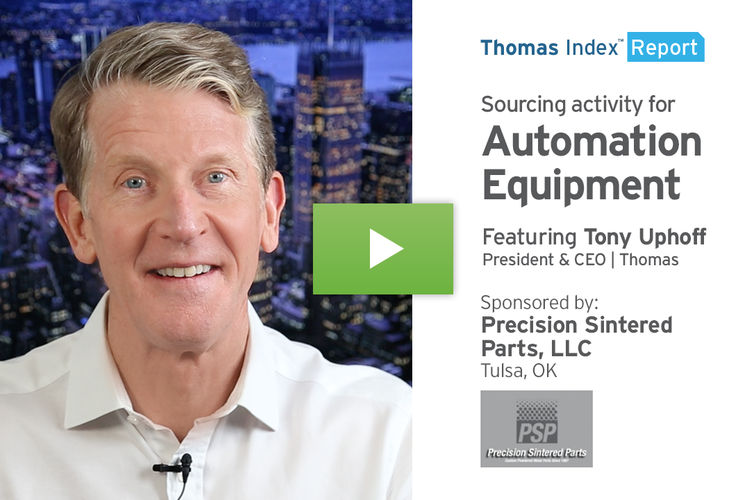 Moving on, here’s a look at the top 10 industrial product and service categories being sourced on the Thomasnet.com platform over the past four weeks. 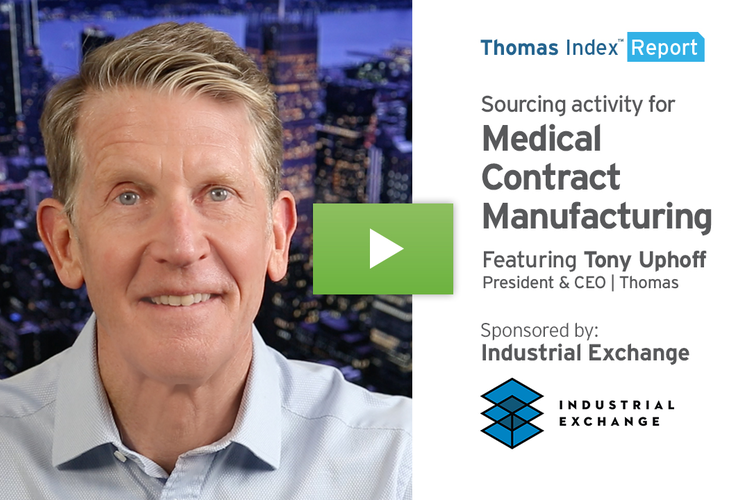 To get this weekly Thomas Index Report — as well as daily news and information for industry — please sign up for our Thomas Industry Update newsletter at Thomasnet.com/Updates. Thanks for watching, and I’ll see you next week.